Each country has its well-known and loved literary characters whose essence is deeply connected to the identity of a nation or region. This exhibition is about those characters, introducing the fictional world, authors and cultural surrounding of smaller European states. 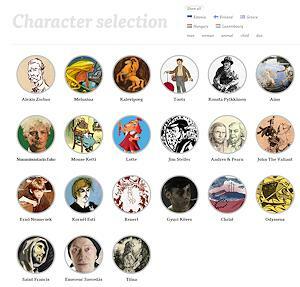 Estonia, Finland, Greece, Hungary and Luxembourg are represented with their literary characters.